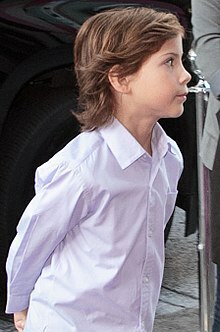 جیکوب ترمبلی (اینگیلیسجه: Jacob Tremblay) کانادالی اوْیونچو. ۵ اوْکتوبر ۲۰۰۶ ‏ ایلینده دۆنیایا گؤز آچیب. 2013 Motive Riley Stanwyck Episode: "Undertow"
2013 Mr. Young Young Tater Episode: "Mr. Finale Part 1"
2016 The Last Man on Earth Young Phil Miller Episode: "Pitch Black"
2016 Billy on the Street Himself Episode: "Billy's Holiday Wonderland With Jacob Tremblay"
2017 American Dad! Young Charles Lindbergh (voice) Episode: "Fight and Flight"
2018 Animals. Nuke (voice) Episode: "Roachella"
2019 The Twilight Zone TBA Episode: "The Wunderkind"
اینگیلیسجه ویکی‌پدیاسی‌نین ایشلدنلری طرفیندن یارانمیش«Jacob Tremblay»، مقاله‌سیندن گؤتورولوبدور. ( ۲۲ ژانویه ۲۰۱۸ تاریخینده یوْخلانیلیبدیر). قارداش پروژه‌لرده جیکوب ترمبلی گؤره داها آرتیق بیلگی‌لر تاپابیلرسینیز.